I'm a musician based in Hudson, Wisconsin (a suburb of Minneapolis/St. Paul, MN). While my favorite and primary instrument is the hammered dulcimer, I also perform on bowed psaltery, tsimbl, Anglo concertina, and handpan. 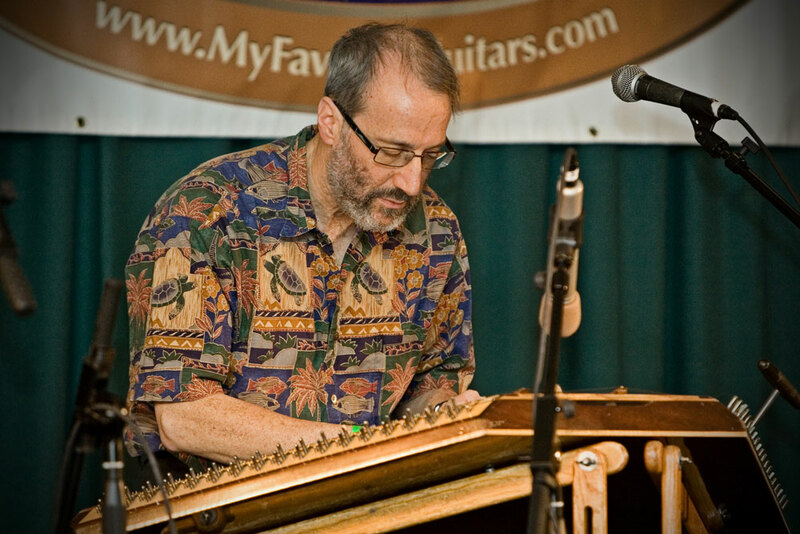 I began playing hammered dulcimer in the early '80s in Wilmington, North Carolina, having grown up with piano and flute lessons in Pittsburgh, Pennsylvania. While mostly self-taught on the dulcimer, I benefited from friends, workshops, and other musicians. Currently, I perform with Greenwood Tree, Eisner's Klezmorim, and Neptune's Keep, and I also accompany area choirs on unique arrangements for choir and hammered dulcimer by Malcolm Dalglish, Diane Laura Rains, and others. In years past I've been a frontman and puppeteer with Freshwater Pearls Puppetry, and I was also the musician for the Vorpal Sword English Rapper dance group. Some of my favorite performances are with my wife, Diane Laura Rains, choral composer and also the leader of Neptune's Keep. In 1985, she created Freshwater Pearls Puppetry and brought me in as a musician and frontman. I was so good, she decided to marry me! Although Freshwater Pearls is on permanent hiatus, we made lots of kids happy all around the upper Midwest. Diane is a multi-faceted artist with many talents, and you can see all her creative activities at faebynature.com. Outside the realm of music, I retired from 3M in 2018 after 34 years as an industrial statistician and internal business consultant, and my claim to the title of "Best Hammered Dulcimist" in the American Society for Quality has yet to be challenged. About six months later, I finished my MS degree in Statistics from the University of Wisconsin and in August 1981, got a job with Corning Glass Works in Wilmington, North Carolina. They were short of office space and stuck me in a cubicle with David Shucavage, who has since moved on to bigger and better things. Dave is a dulcimist, and he was playing at the Piney Woods Festival a couple of weekends later. Being new in town with nothing to do, I went. Shortly thereafter, Corning decided I had no growth potential with them, and I was unemployed for five months. During that interval, I was able to learn a lot more about the dulcimer and greatly improve my skills. I moved to Minnesota in 1984 to be an industrial statistician at 3M and found a thriving traditional music community. By the end of the next year, I was playing in a contra dance band, teaching dulcimer at the Homestead Pickin Parlor, and had joined up with guitarist Bill Cagley to form Greenwood Tree, all of which I continue to do 30 plus years later. The ultimate irony is that about four hours after I accepted my job with Corning in 1981, I got a call from 3M - from the same person who ended up hiring me in 1984 - inviting me up for a job interview. Had the timing been slightly off and 3M had called first, I may have never made it to Wilmington and never learned about hammered dulcimers.